Discussion in 'Off-Topic Discussion' started by sparkyscott21, Jan 17, 2012. 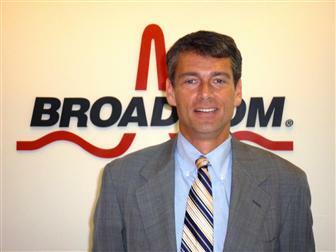 802.11ac will become the mainstream WLAN technology standard as early as the second quarter of 2013 or as late as the first quarter of 2014, according to senior vice president Michael Hurlston for Home and Wireless Networking business unit of Broadcom. Does it improve the distance of the wifi signal? I see the speed increase but distance is more important to me. IEEE 802.11ac - Wikipedia, the free encyclopediaThe benefits of 802.11ac over 802.11n include channel bandwidths of 80 MHz and 160 MHz versus 40 MHz in 802.11n; support for up to 8 spatial streams, versus 4 in 802.11n; and a data rate of about 1.3 Gbits/s, which is three times faster than 802.11n. The devices also use the "cleaner" 5-GHz frequency, which isn't obstructed from electrical interference from devices like microwaves.Just as you thought you could breath a little easier in this fast paced wireless world that we live in there's a new kid on the block, well a new standard in the making and it will be here sooner than you think. Yes another new standard.I can recall when I got my first 802.11g access points and panic set in about compatibility with the 802.11b we already had installed. I needn't have worried but I was still a novice. I didn't even know at that time about 802.11 or 802.11a. A little history, the 802.11 standard was minted in 1997 provisioning 1 Mbps and 2 Mbps in the 2.4 GHz spectrum, I know it seems along time ago but it had a decent uptake in manufacturing and warehousing. Only 2 years later 802.11b and 802.11a came along, that's 1999. 802.11a provisioned up to 54 Mbps but was slow to capture the market due to generic client support. 802.11b on the other hand took off and everything was built with 802.11b that could be. We all know the advantages of 802.11a over 802.11b, higher throughput, less congestion etc but client support meant 802.11b stormed the market. Then 802.11g came along in 2003 and there was even less need to move to 802.11a as 802.11g in the 2.4 GHz spectrum was as fast as 802.11a and more accessible. We waited an awfully long time for 802.11n with many many false dawns, it finally became a standard on September 11th 2009, about tea time if I recall, well that's when I got the news. Just for the record 802.3af became a standard on the same day but was eclipsed by the hoopla surrounding 802.11n. 802.11n was so different its a whole new set of rules for us wireless engineers to learn, channel bonding, MIMO, frame aggregation, block acknowledgements etc etc and promises up to 600 Mbps. Well now we have 802.11ac, there is little out in the real world that goes into any great depth about this proposed new standard, however, it is being touted that it will be a standard in December 2012, that's not far away at all. All is not lost however as it seems that it will largely an evolution of 802.11n or at least some of the technologies. The basis for the enhanced speeds, over 1 Gbps, will be further channel bonding with talk of 80 MHz and even 160 MHz wide channels. Now it would appear that this would only be feasible in the 5.0 GHz spectrum as there are not enough reusable channels in the 2.4 GHz spectrum. Even with all the available channels in the 5.0 GHz spectrum it is unlikely that there would be enough non overlapping air space to deploy an enterprise cell based implementation as we do today. Slight improvements in modulation techniques will also push up the speed. A major breakthrough could come in the form of MU-MIMO (multiple user MIMO) where simultaneous streams are given to users on the same channel. Product may hit markets as early as next year however I get the general feeling that it will have more specific applications than 802.11n due to the channel bonding and would be ideal for streaming HD video or high speed PtP or PtmP implementations. 802.11ac also has a big sister, 802.11ad, similar technologies but working up to 60GHz where I believe there is a lot of spectrum available. This however would be severely limited in its signal propagation as we all know the higher the frequency the poorer the range so 60GHz is going to be working between two devices inrelatively close proximity. One thing is for sure, the wireless market place is technologically innovative and our jobs and skills will only be more valuable as we ride the crest of the wave. Looks good. Just hope won't have to put up with those horrible draft implmentations. What are the Practical Advantages of 802.11ac? So we've discussed the main advantages of the standard - speed, reliability, and quality. But apart from the "cool factor", or advancementsolely for the sake of advancement, why should a user consider moving to the new standard? What needs can it meet better or moreeasily than the current standard? The answer is that the new standard has two main advantages for the everyday user - it improvescurrent use cases and paves the way for future use cases. First, 802.11ac improves existing uses cases such as HD video streaming. Netflix, Hulu, Vudu, and other popular streaming sitescommand a great deal of bandwidth. Streaming HD video over a wireless connection that lacks the required bandwidth can result inchoppy video playback, which greatly diminishes the user experience. A growing number of consumers today are streaming video from their home media libraries, as well as from Netflix, Amazon, and other subscription services &#8722; either directly to their networked television,or through their Blu-ray player, game console, or digital video player. 802.11ac will significantly enhance the user experience by improvingthe playback quality to any point throughout the house. With 802.11ac, for the first time wireless will provide similar performance aswired Gigabit connections. I heard it will come out in Europe first. Not sure if a rumor or not at this point. If you thought Wi-Fi couldn't get much faster than 802.11n, think again. 802.11ac is the latest evolution of Wi-Fi, and it should be particularly good for gaming and HD video streaming. So how does it work, does it live up to the hype, and how long will you have to wait before you can get your hands on it? Let's find out. The fastest current 802.11n Wi-Fi connections max out at around 150Mbps with one antenna, 300Mbps with two and 450Mbps with three antennas. 802.11ac connections will be roughly three times faster - so that's 450Mbps, 900Mbps and 1.3Gbps respectively. Netgear, brilliantly, illustrates this with two pictures of motorways: the first picture, showing "Today's Wi-Fi", is normal, but the one labelled "3x speed with 802.11ac" is really blurry. As with previous Wi-Fi standards, the speeds quoted on the box and in the promotional materials are theoretical maximums, not the speeds you'll actually get: so far devices with potential top speeds of 1.3Gbps have topped out at around 800Mbps. That's still blisteringly fast, of course, but there's still a gap between advertised speeds and real world ones. 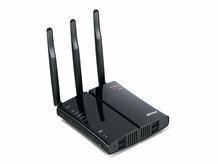 802.11ac connection speeds will be reduced by numerous factors: network overhead, which is the chatter your hardware needs to keep the connection going; interference, congestion and physical obstacles; distance; the number of simultaneous connections; and whether the router is running in compatibility mode so that older wireless kit can still connect. Because 802.11ac has bandwidth to spare, it should be great for HD video streaming and for gaming. According to Netgear [PDF], you can say bye-bye to buffering: "802.11ac will significantly enhance the user experience by improving the playback quality to any point throughout the house. With 802.11ac, for the first time wireless will provide similar performance as wired Gigabit connections." To improve range and reliability, 802.11ac routers can use more antennas than existing 802.11n kit: your next router may have as many as eight antennas inside it. Wi-Fi is omnidirectional, but 802.11ac routers will be able to use directional transmission and reception technology dubbed "beamforming". The router will be able to identify the rough location of the device it's talking to and strengthen the appropriate antenna(s) accordingly. The idea is to reduce interference. Older wireless kit uses the 2.4GHz frequency band, which is fairly crowded: your kit is potentially sharing radio frequency with next door's baby monitor, your cordless phone and even your microwave. Like high performance 802.11n kit, 802.11ac routers will use the less cluttered 5GHz band where there's considerably more room for data transmission. 802.11ac hardware will use two kinds of channels in that range: 80GHz ones and 160GHz ones. You won't need to throw out all your old wireless-capable kit as 802.11ac routers will be backwards compatible with your existing Wi-Fi kit. For example, at this year's CES Buffalo demonstrated an 802.11ac router that operated on both the 2.4GHz and 5GHz frequency bands and that promised to play nice with 802.11a, b, g and n hardware. As with 802.11n, hardware is coming out before the 802.11ac standard is actually finalised. That's going to happen later this year, but manufacturers are readying their products now and they'll be everywhere by the summer, with minor software updates addressing any changes that might happen to the standard before it's finalised. We'd expect 802.11ac prices to be steep initially, as they were with the first 802.11n kit, but those prices should start to fall almost immediately. Apple's a key early adopter of wireless technology - it helped popularise Wi-Fi in the first place and was quick off the mark with 802.11n support. According to AppleInsider it's going to be quick off the mark with 802.11ac too, sticking the technology into "new AirPort base stations, Time Capsule, Apple TV, notebooks and potentially its mobile devices." The Institute of Electrical and Electronics Engineers (IEEE), the body in charge of the 802.11 standard, isn't skipping lots of letters: while major WiFi standards have jumped from 802.11n to 802.11ac, the IEEE didn't just skip 802.11o, p, q and so on. Successive versions of the 802.11 standard can also denote amendments to existing standards, so for example 802.11i introduced improved security and 802.11j introduced extensions for Japanese networks.